Mr. Ace is on the case! The Cases of Mr. Ace is a smartly written detective classic old time radio show. 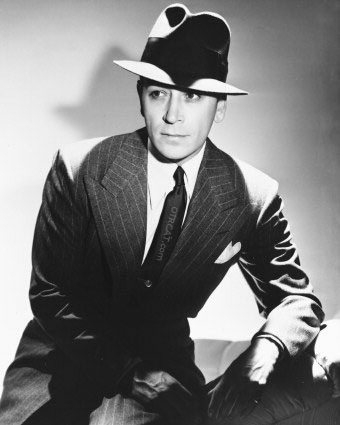 Staring as George Raft as Mr. Ace of sole owner Ace Detective Agency on 6th Avenue. Eddie Ace likes his coffee sweet and black and he talks tough detective speak. "The face of a small fragile old man. His hair was glossy and deep black. His eyes were glossy and deep black. But it wasn't his bones, or his hair, or his eyes that really interested me. It was his right hand, in it there was a gun and from where I lay it looked very big." This is a rare and little known show, but George Raft is excellent in the role of Mr Ace. Friends with members of the mob, Raft adopted the "tough guy" persona that he would later use in his films. Raft also performed in Rocky Jordan. Be the first to comment on "Cases of Mr Ace"